Sara Staniforth, Natalia Gronowska, Megan Hurst, Louise Hillary and Denise Smith parachuted from a height of 10,000ft at Cartmel Airfield on Saturday 22 May. All are Applied Psychology students based on the university’s Fusehill Street Campus in Carlisle and are members of the University of Cumbria Students’ Union Psychology Society. The students raised over £2,050 for the Mental Health Foundation by holding several fund-raising events over the last six months, including quiz nights, a karaoke night and raffle ticket events. Special thanks go to four other students in particular who did a great deal to assist in the fund-raising: Jay Whitney who compiled quizzes and acted as quiz compere and Rachel Allison, Amy Madge and Vicky Lithgow who arranged and organised all events. The Mental Health Foundation is a leading UK charity that provides information, carries out research, campaigns and works to improve services for anyone affected by mental health problems, whatever their age and wherever they live. Donations would be gratefully received in the form of a crossed cheque made payable to: “Cumbria Students’ Union” and written on reverse side: “Psychology Society Fundraising Account”. The address to post cheques to is University of Cumbria Students’ Union, Fusehill St, Carlisle, Cumbria, CA1 2HH. Donations will still be gratefully received after the parachuting event. The Eleanor Trust fund was nice enough to sponsor me on my volunteering adventure to Kenya, Mombasa with the company Global Vision International (GVI). Here is a report of the activities I got involved in whilst in Mombasa. For the majority time in Kenya, the children were on Easter holidays so were only in for half days at school. 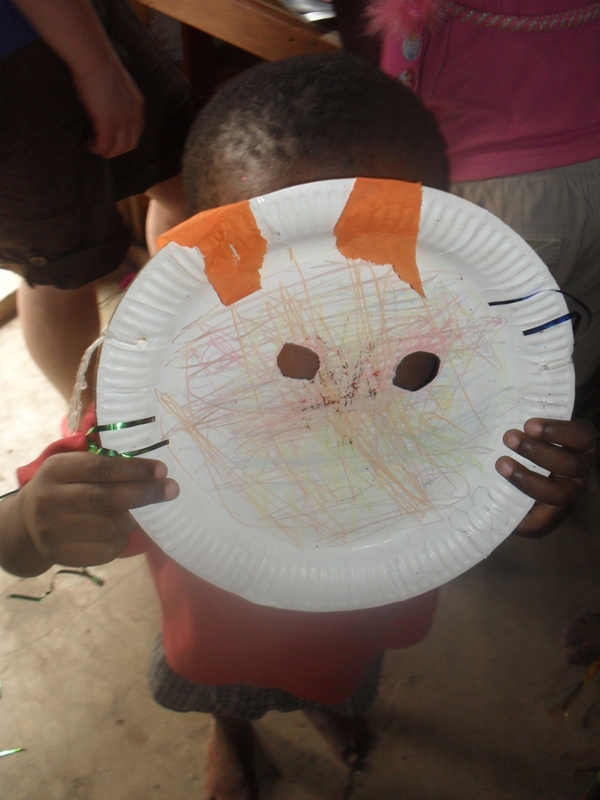 This allowed my fellow volunteers and I to get the children involved in fun, creative activities. These included: making musical instruments, singing songs, playing games, making animal masks, drawing and having a sports day. It was lovely to see the children laughing and smiling and genuinely having a really good time. Additionally, I also got the chance to teach a couple of lessons of English at a school called “Olives”. This was a fantastic opportunity as I am a teacher trainer at University. Teaching the children at Olives was very difficult compared to teaching at any other school in England as the resources can’t even be described as minimal, so therefore, teaching the children involved being as active as possible and keeping the children actively involved in their learning. The non-government funded schools in the Mombasa area rely fully on volunteers coming into the schools and teaching the children. Otherwise, the children wouldn’t get the education they deserve. The parents in the slums around the schools couldn’t be more grateful. Everywhere you go you are constantly thanked for your help. Another project which had just started was one at an orphanage called Jambo Jipya. Whilst at Jambo Jipya, we painted the walls of the school and then painted pictures around the school to brighten up their learning and living environment. 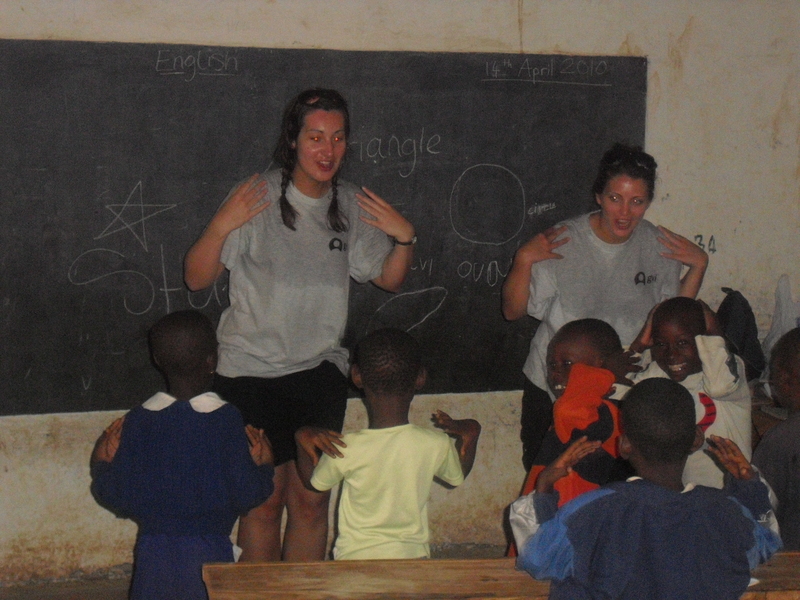 The children all got involved and enjoyed having the volunteers around. Alot of my time volunteering was spent at Jambo Jipya. I’d like to thank the Eleanor Peel Trust for paying towards my costs to go over to Africa and help the children in Mombasa. I had an amazing experience. 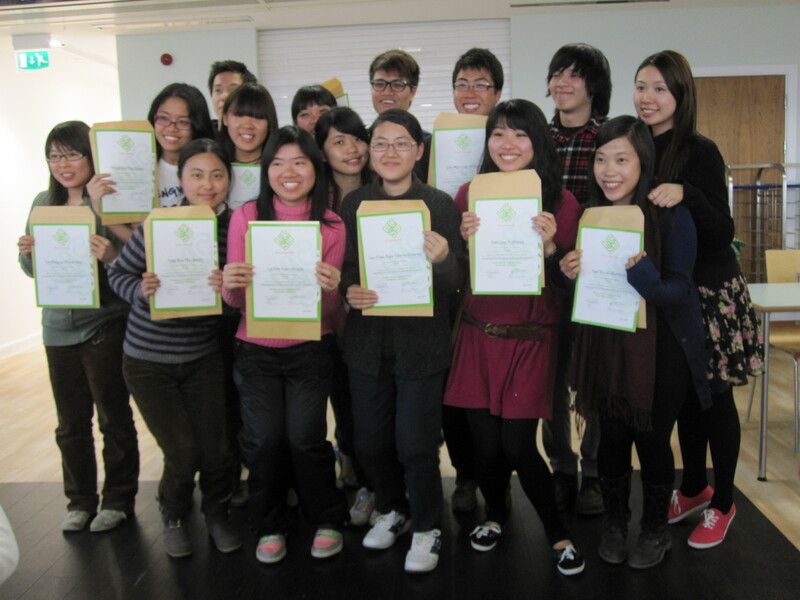 Our Hong Kong student volunteers who worked so hard to raise £1020 for Cancercare, were presented with their UCSU Volunteering certificates at their Home-Stay Buffet Party on 28th April. They were sad to be leaving Lancaster having thoroughly enjoyed their time studying here and learning more about our culture. The Volunteer of the Year Award this year was presented to READ International for their commitment and dedication to the Project. Becci Martin, Becca Worth, Amy Hayes & Nicola Reynolds, the project leaders, have worked tirelessly throughout the year recruiting volunteers, raising funds, contacting schools & colleges across Cumbria and North Lancashire, collecting & sorting books, hiring and driving vans to transport the books to storage and then onto Edinburgh, ready to despatch to Tanzania. 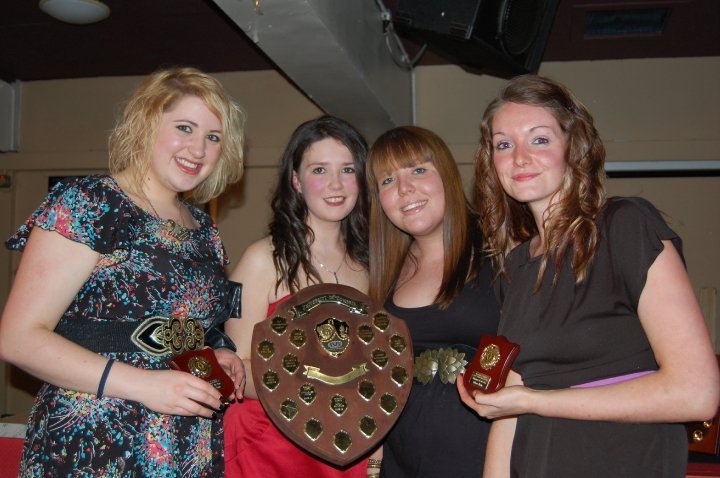 Lorri Millar, Clubs & Societies Officer at Lancaster presented the Award at the Sswish Awards Evening on 24th March. Well done girls! UCSU Volunteers returned to the Foyer to plant fruit trees, flowers and other plants bringing colour and life to the garden. Sarah Boyle, The Foyer Manager wis delighted with the transformation and we hope to have a team of gardeners to keep it looking great and weed-free. This term has been so busy I haven’t had chance to keep this blog as updated as I would like! So, our current total is sitting at £2,200 so only £2,300 to go-nearly half way!!! Fundraising over the past few weeks has consisted of the film night, sponsored 17 mile walk, a murder mystery and a swimathon last weekend!! This week has been our book collection week; we have travelled about 450 miles, collected from 5 different schools, and moved 4,000 books! We have also got 3 schools booked in for the week after Easter, bringing our total number of schools up to 20! Only 5 more until we reach our target! On the books front, we have collected around 17,000 books—that’s a lot of heavy lifting. Think Global wise we have had our first assembly at Ripley school in Lancaster, presented by Lucy Thomas and Patrick Hall…their assembly was so successful, they came away with another book collection for us! Well done guys!! And finally…not blowing our own trumpets or anything but; last night at the SSWISH awards, the four of us (Becci, Becka, Nicky and me) won volunteer of the year awards for READ! So thank you to Emma Egglestone and Lorri Millar for putting us forward! As always, if this makes you want to join us for the last couple of months of READ, then drop us an email! Cumbria@readbookproject.org.uk we look forward to hearing from you! A fab start to the year…after changes at Head office our main target has been reduced down to £5,500 rather than £7,500. This means that the target for January is £1000, which we have SMASHED! Our total, at the moment is around £1,700, so well done to everyone who raised money over Christmas and keep getting those sponsors for the triathlon! At READ central (our house) in Lancaster we are going running and swimming a few times a week to get those miles done, if anyone fancies joining us on an evening jog-just let us know, the more the merrier! On the subject of the triathlon, we have a few events coming up, the “Bogle” walk of 26 miles in Manchester on the 6th March and a Rotary swimathon, on Sunday 21st March. It is too late to sign up for the swimathon but if you are interested in the other two-just drop us an email and you can work off some of your miles with us! A couple of weeks ago, Wednesday 10th February we had an extremely busy day, whilst most of the project interns were off on a collection, other volunteers manned a stall in the freezing cold on campus for careers day, selling cakes and books! In the evening, we were rewarded for all our hard work with a house party at READ central, pay a pound and get a free shot! On this day we raised around £60! Furthermore, we are hoping to do a few murder mystery parties during the next couple of weeks, so if you would like to either host or come to one, let us know-it’s a great opportunity to get dressed up and properly get into character! Next Wednesday (10th March) we have got a film night in the Dukes showing ‘Where the Wild Things Are’, there will be a cake/sweet stall in the foyer and a chunk of the ticket sales will be going to READ. Come along and bring your friends! It’s a great chance to relax in these mental days of assignments and work! One last point; it’s that time again where we have started initial contact with schools. Emails and phone calls have been happening over the last week and a few collections have already been booked in. Our collection week is from 22-26th March. We will need drivers and volunteers willing to go on these collections-they are a great laugh and a way of getting tonnes of volunteer hours! To be a driver you must be over 21, but anyone is welcome to come along for the collections. Please let us know when you are free within this week-we need as many people as possible! I hope to see you at some of the upcoming events-there are enough of them! Like I have already said, if you can help in any way, please get in touch, we always need more people to help, even (no, wait, especially) if you just fancy doing some miles for the triathlon!